So please break it not! There's so much anticipation the way the chick is looking! Nicely Locomente! Very thoughtful Haiku.A new life is always welcome. 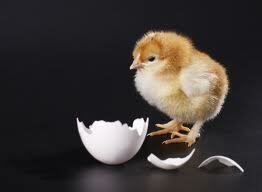 Doesn't matter either it's egg or the chicken....yet, one can hope for life..